Virtual Private Server (VPS) is a type of hosting where a physical server is divided into a number of small virtual servers. All the virtual severs are assigned a fixed amount of CPU and RAM for their usage. You will get a dedicated server with a VPS and you do not have to share resources with other. VPS hosting is more expensive than the shared hosting where the Resources are shared among thousand of users having different websites. Most of the VPS are based on Linux and can be provided with a Control Panel (cpanel etc) for an extra amount. There are many companies offering VPS hosting but very few of them are providing quality service with good performance. Here are some of the top VPS providers that you cannot go wrong with. KnownHost is a managed VPS Hosting provider having their data centers in Texas, New Jersey and California.They offer services like Virtual Private Servers, Hybrid Servers and Dedicated Servers for hosting your website. Their servers are very fast and well optimized. Thier support the best among all. KnownHost VPS plans range from $25 to up to $85per month and they offer three Control Panels namely DirectAdmin, Plesk and Cpanel. 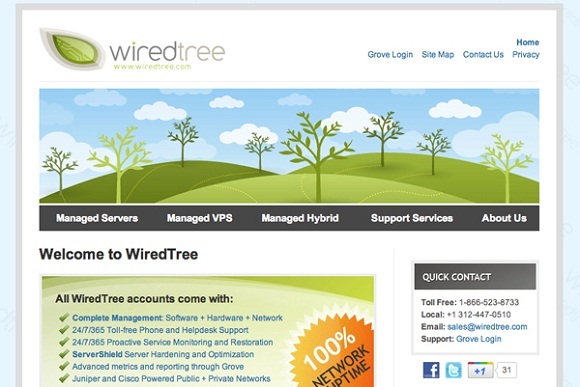 WiredTree is also a fully managed VPS provider that is in hosting business since 2006. They also offer Hybrid and Dedicated Servers for hosting. Their hosting plans are a bit expensive starting from $44 to $149 per month but their severs are fast and optimized. HostGator is a very popular hosting company that offers shared, VPS and Dedicated Server hosting. Their VPS plans starts from $15.96 and goes up to $167.96 per month. They also offers a variety of control panels like Virtuozzo, cpanel and Ksplice. 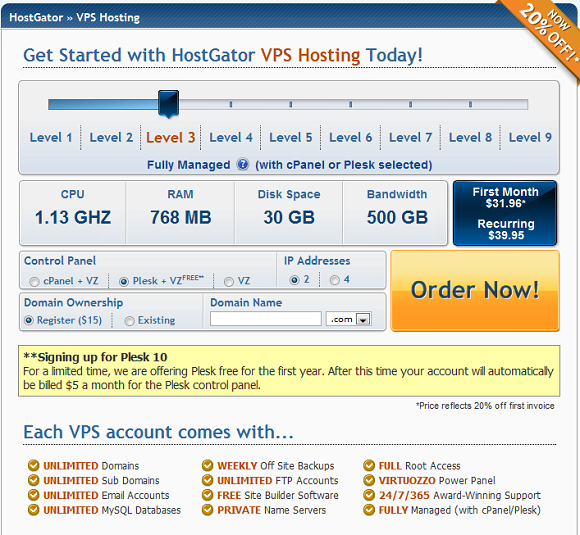 HostGator provides very good performance for both shared and VPS hosting. 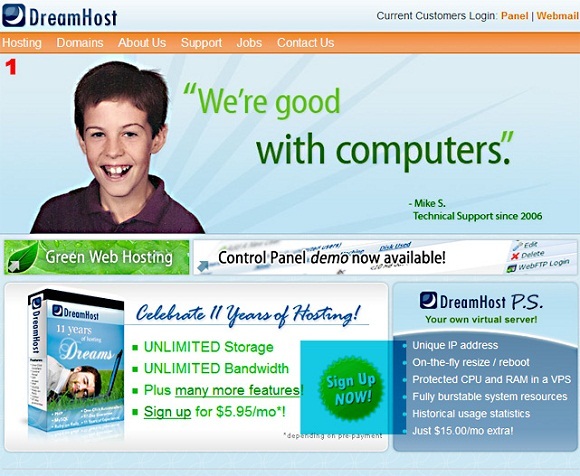 DreamHost is another hosting providing shared, VPS and Dedicated Hosting. The company was founded in April 1997 and has a very good reputation in hosting market. They have well opimized hardware and thier hosting plans starts from $15 a month and goes up to $200 per month. Linode is an unmanaged Xen VPS hosting, this means you have to install the server softwares and configure them by yourself. Linode has the reputation for the being a very solid and stable hosting providers around. 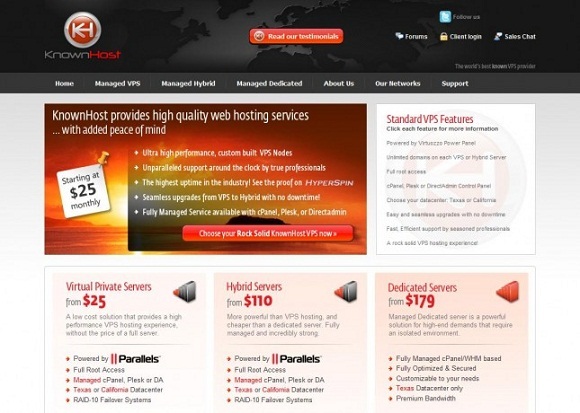 Their VPS plan starts from $19.95 to $159.95 per month. 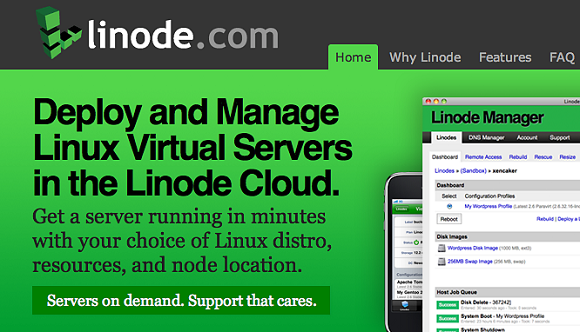 If you are well versed with linux, then you can go for linode.